These shrimps are rare mutations of Caridina Cantonensis CRYSTAL. They come from very advanced selections and are very fragile. 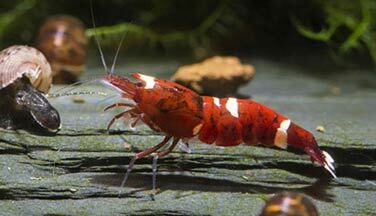 Given their price, it is better to have a solid experience in caridina shrimp maintenance! How to feed the Taiwan Bee shrimp? Food requires vigilance. Indeed, overeating can be deadly because unused food leftovers will dirty and pollute the water (rise of nitrates NO3), which endangers your shrimp. 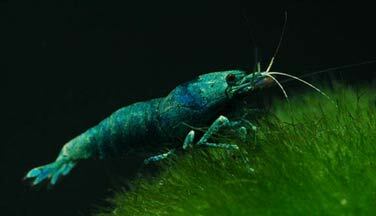 Moreover, know that shrimp rarely die of hunger, and always find something to eat in a well-honed aquarium. If you introduce your shrimp into an "old" aquarium, you are already leaving with an interesting stock of food. The daily diet will consist of tree leaves such as oak, hazelnut, chestnut or beech. To sterilize them, spend 30 seconds in the microwave and let them soak in the water so that they flow. You can then line the bottom of the aquarium with these leaves. The advantage is that shrimps love them and they can stay in the water for a long time (they do not pollute their environment). For commercial food, you can distribute a spirulina base pellet once a week (or half a pellet depending on how many shrimp you have). To complete, give them vegetables that you will poach before. These include zucchini, cucumber, broccoli, spinach, nettles. You can also give banana or carrot, raw this time. Remove uneaten foods to prevent them from polluting the water. Finally, prefer to feed little, but often! What kind of behavior does the Taiwan Bee shrimp have? The Taiwan Bee is peaceful and not aggressive. They will have to live in groups of at least 10 individuals because they are gregarious. They spend all their time looking for food on the floor of the aquarium. Despite their quiet appearance, they are very fast if necessary, even dazzling! Who can live with the Taiwan Bee shrimp? 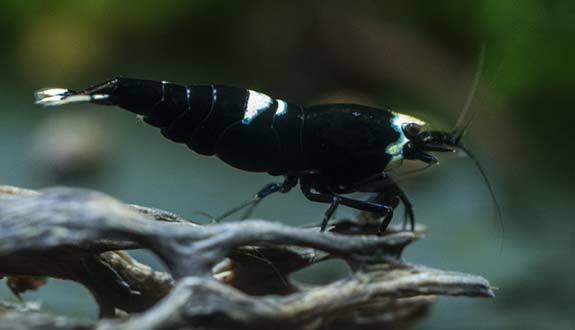 Invertebrates are the natural prey of fish, and so the Taiwan Bee too. Therefore, we will have to be very cautious about which combinations to consider, both because of the predation problem and because of the water parameters. Cohabitation with Otocinclus, Ancistrus or Corydoras does not present any danger, even for young shrimp (pay attention to the compatibility of the parameters of your aquarium). 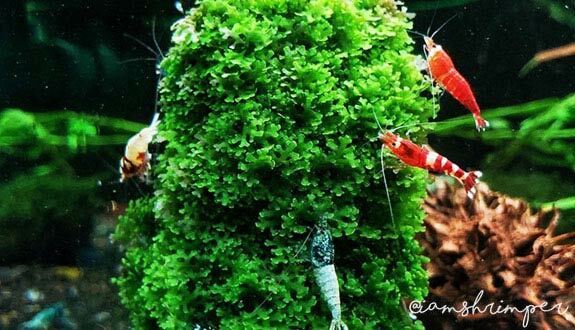 Another possibility of cohabitation is to maintain them with other shrimps. However, beware of the risks of hybridization (see "Good to know"). It is still strongly recommended to maintain this species in a specific aquarium, especially if you wish to breed and make a selection. How to breed the Taiwan Bee shrimp? How to breed the Taiwan Bee shrimp?? To ensure that a maximum of these small "luxury" shrimp survive, it is preferable that the breeding takes place in a specific aquarium. It is necessary for this aquarium to be well grounded for at least 3 or 4 months, that the parameters of the water are very stable and that it can offer a reserve of natural food. 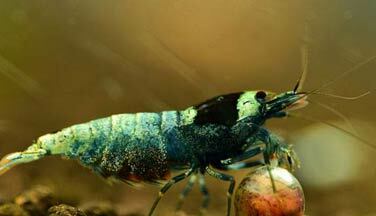 Breeding is triggered if the maintenance conditions are met and shrimp are sufficient. Allow a temperature around 22/23°C or 71/73°F. It is said that the female is grained after fertilization, when it transfers its eggs under its abdomen. It will keep its eggs (around 20 to 30) for the entire incubation period (18 to 28 days). 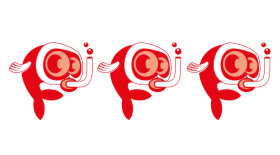 The small shrimps are born entirely formed, like their parents, and completely autonomous. In spite of births, sometimes the little ones disappear in a few days or weeks. This phenomenon is still not explained today. Which aquarium for the Taiwan Bee shrimp? Taiwan Bee are particularly sensitive to changes in water parameters. It is therefore necessary to stabilize them in their zone of tolerance (that is why it is better to opt for a larger volume, at least 40 liters / 9 imp gal / 11 US gal, with a good floor space). Thus, you will make your water changes regularly but sparingly. Indeed, shrimp are much less polluting than fish and do not need such a large change of water. Excessive water changes can destabilize the water parameters and you may lose your Taiwan Bee. It is best to carry out a weekly check of nitrite (NO2) and nitrate (NO3) values. If they are too important, make a renewal of the water at the level of 10 to 20% of the water and then restart the control. In general, plan a water change of 10% each week. In order to meet the recommended water parameters, it is strongly recommended to use a technical floor (or also called "active"). These soils have the particularity of lowering the KH to 0 or 2, reducing GH, acidifying the pH. Akadama, Egi Gold or Red Bee Sand are particularly recommended for Taiwan Bee maintenance. It is useless, even bad, to clean this kind of soil too often. To avoid quickly depleting the soil, you should use mineralized osmosis water. You will mineralize with Salt Preis Discus until you obtain the desired hardness. It is desirable to obtain a conductivity equal to 300 μS. For that, count about 1,37g of Salt for 5 liters of osmosis water. You increase the GH without touching the value of KH. A 100% use of osmosis water is also possible. For the temperature, know that the hotter the water, the more closely the moults are. This causes aging and premature death. In general, shrimps like aquariums very planted, with many hiding places. And the Taiwan Bee are not immune to this basic rule contributing to their well being. They will also greatly appreciate the mosses such as Java moss, Cladophora, Java fern or Microsorum. In its natural environment, shrimp soil is littered with tree leaves (chestnut, chestnut, hazel, oak...). You can breed this beautiful effect by lining the bottom of the aquarium with a good layer of leaf. In addition to the aesthetic aspect, these leaves will acidify the water and stabilize the pH. Cover your aquarium to limit evaporation. To complete the water level due to evaporation, it is very important to use PURE (salt-free) reverse osmosis water in order not to change the water parameters. What are the colours and patterns of the Taiwan Bee shrimp? 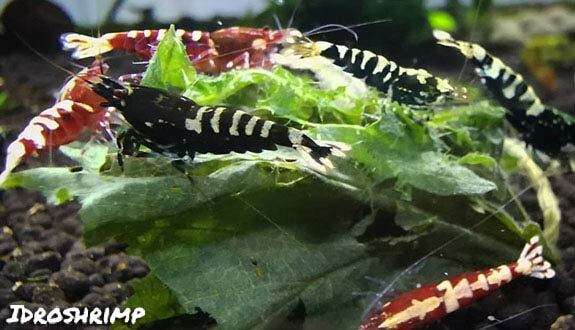 These shrimps are the result of mutations that occurred during breeding between Caridina Cantonensis Snow White and Crystal Red or Black. Thus, reproductions from CRS gave the Red Wine and Red Ruby, while those based on the CBS gave Panda and King Kong. The other colours are obtained by successive crossing. For example, the Blue Bolt would be obtained by crossing a King Kong and a Snow White. 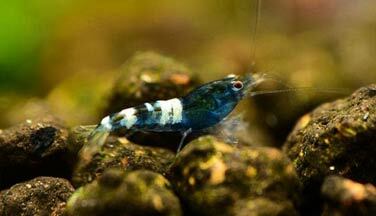 Hybridizations are possible with the following species: Caridina Cantonensis CRS/CBS, Golden/White, Tiger, Breviata. We talk about Taiwan Bee Mix when a shrimp has the appearance of a CRS/CBS/Snow White but it carries the Taiwan Bee gene. Thus, it has the potential to give birth to small Taiwan Bee. The crossing of a Taiwan Bee and a Tiger gives birth to "Tibee". They are very sensitive to heavy metals such as copper for example. It will therefore be necessary to rinse the plants before introducing them into the shrimp aquarium. In addition, the use of fertilizers and medicines is to be avoided. In case of extreme necessity, refer to the instructions for use, in the precautions for use.